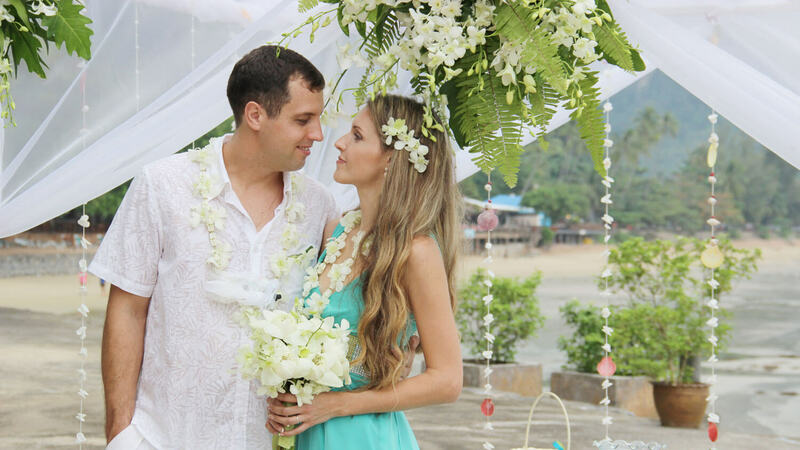 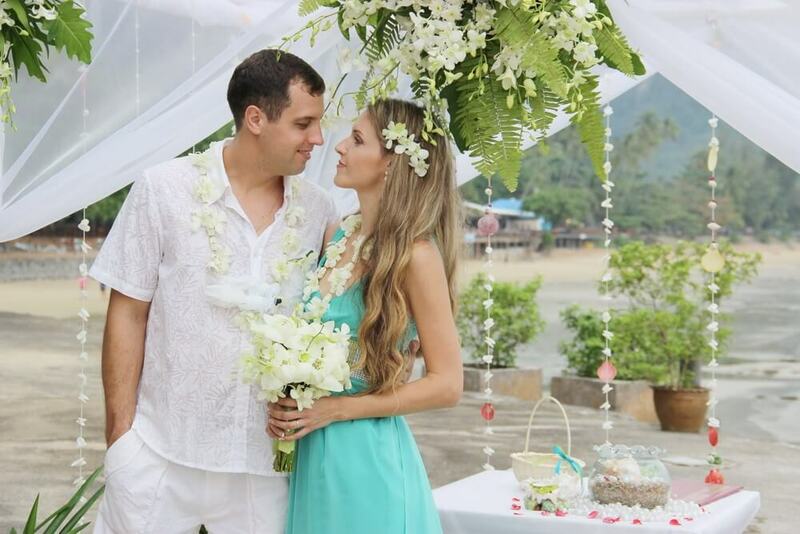 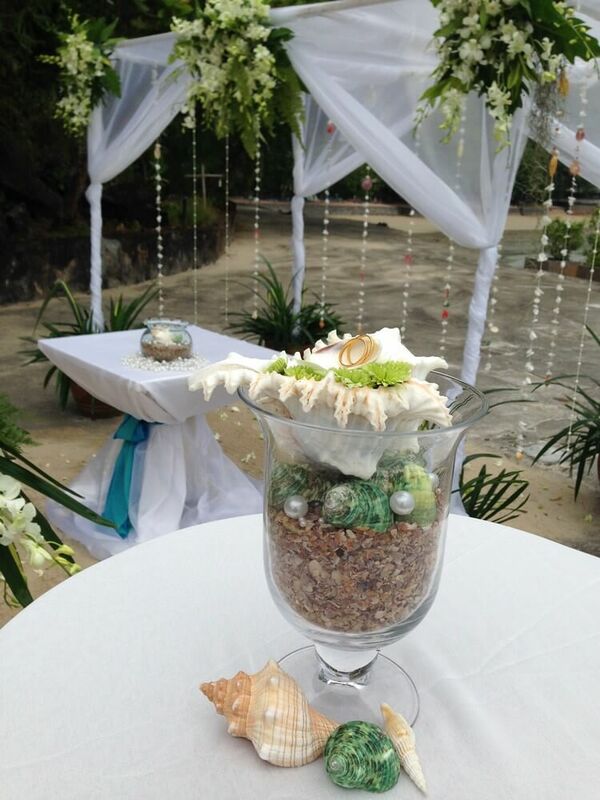 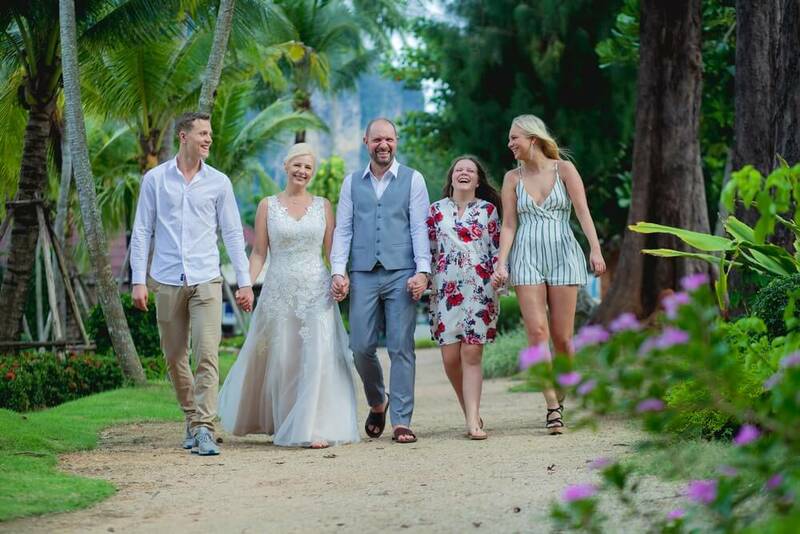 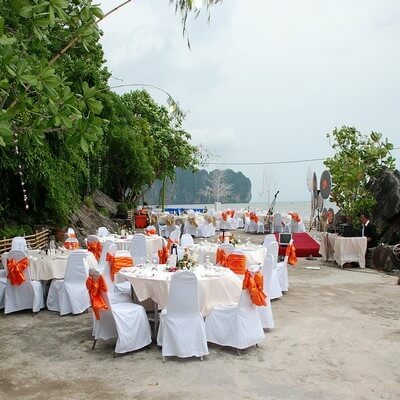 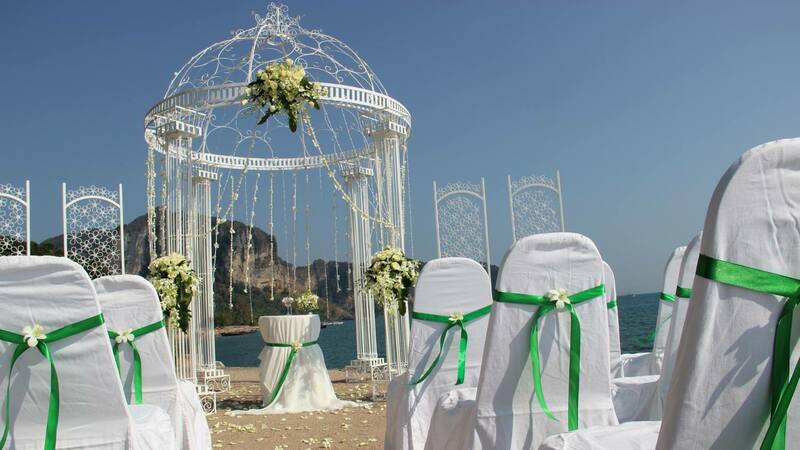 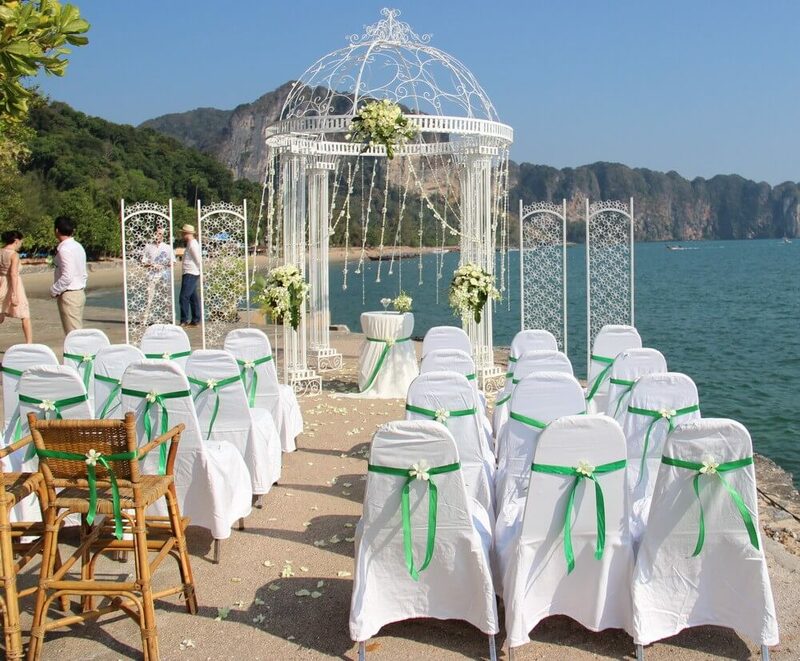 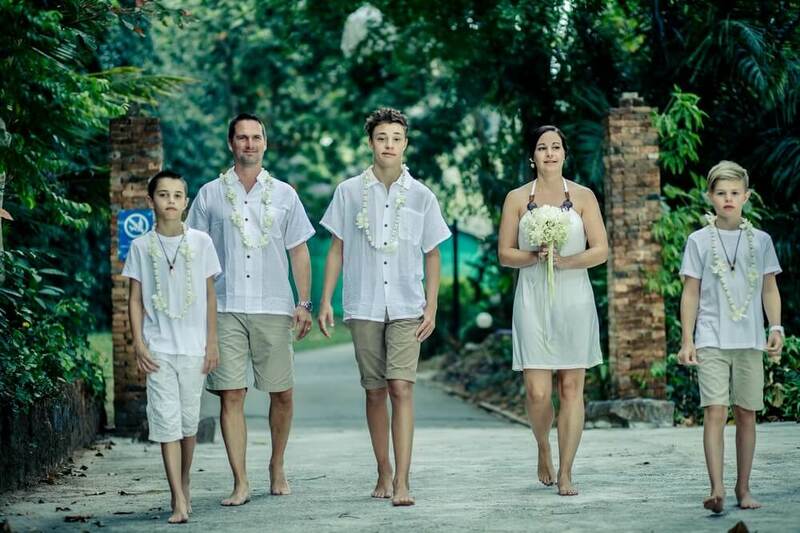 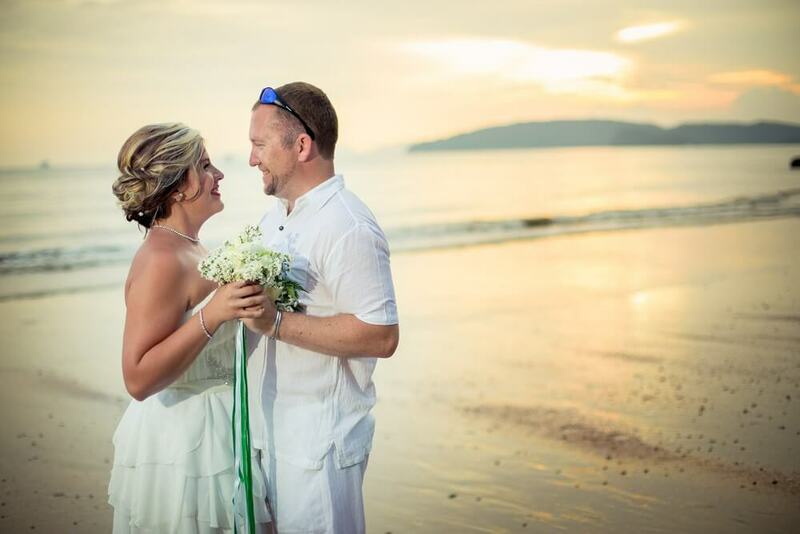 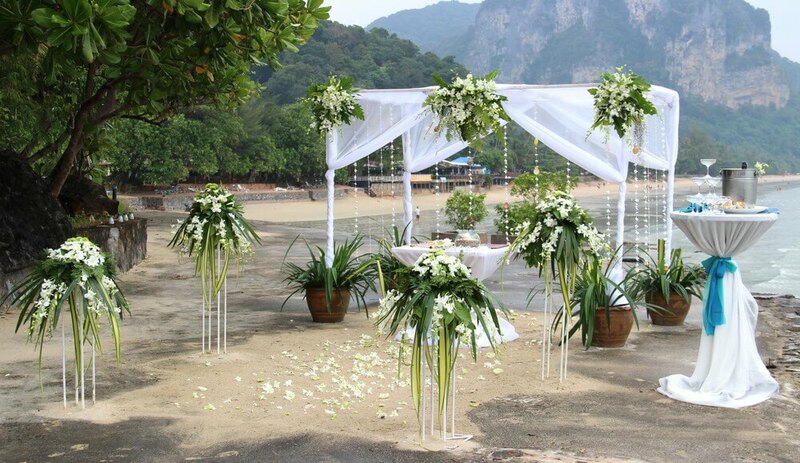 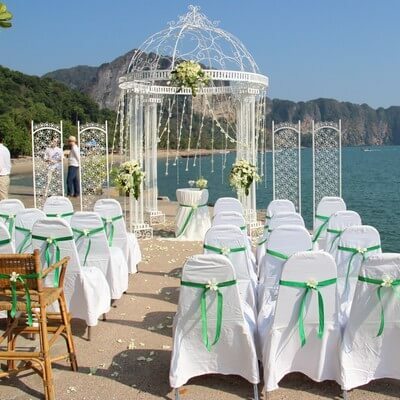 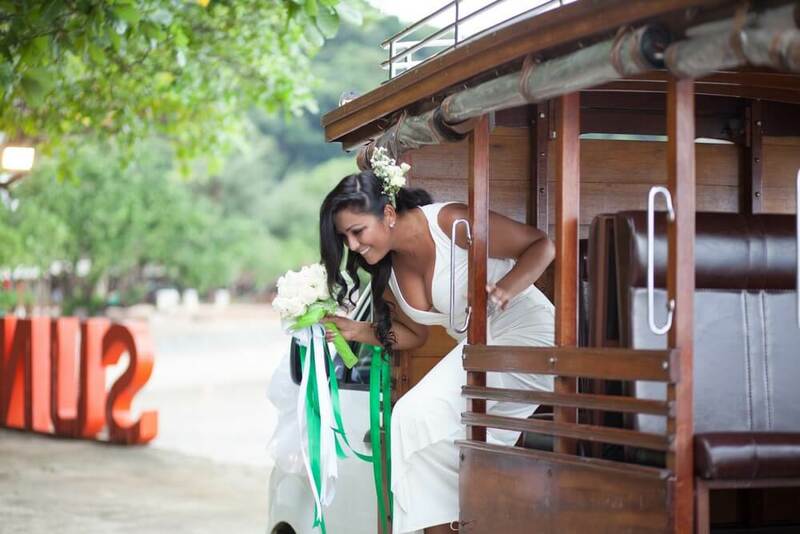 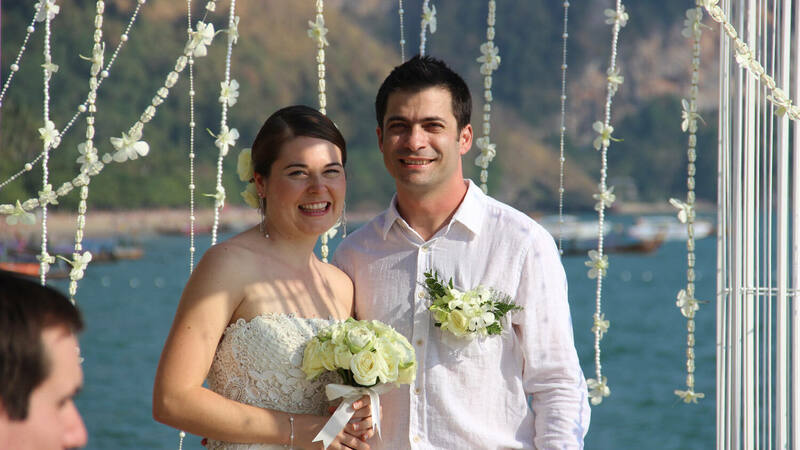 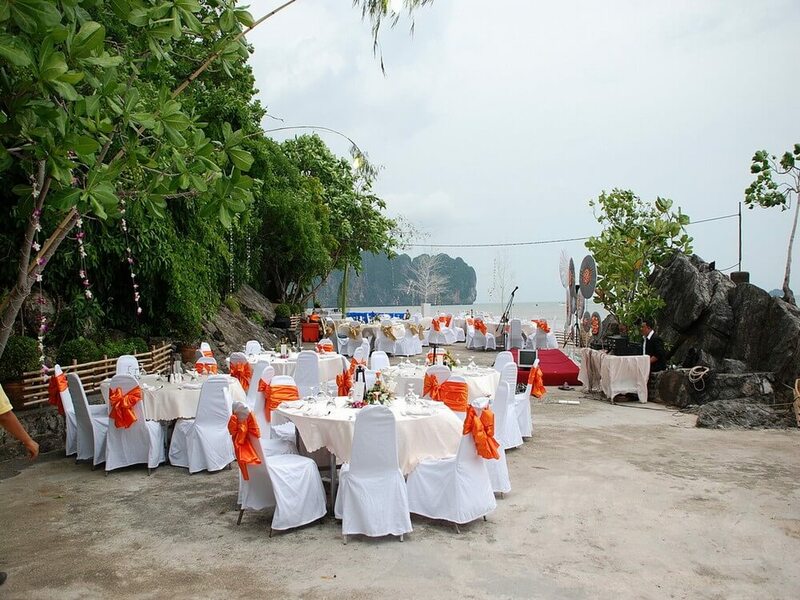 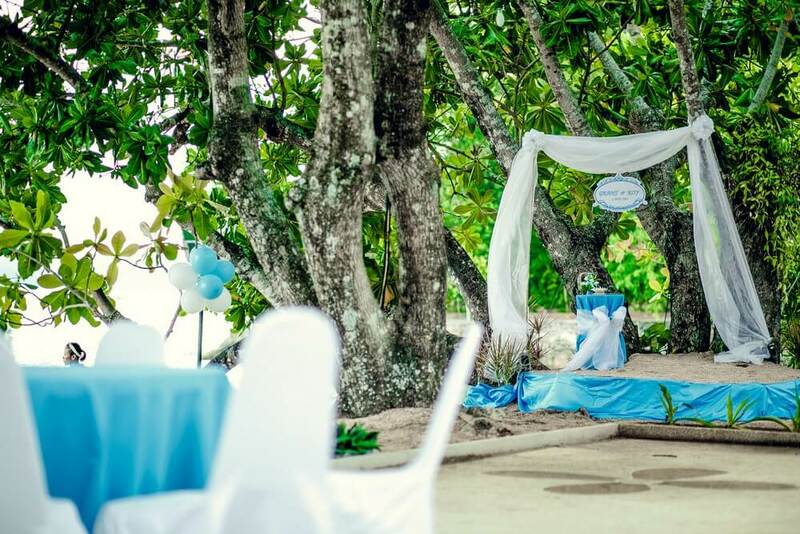 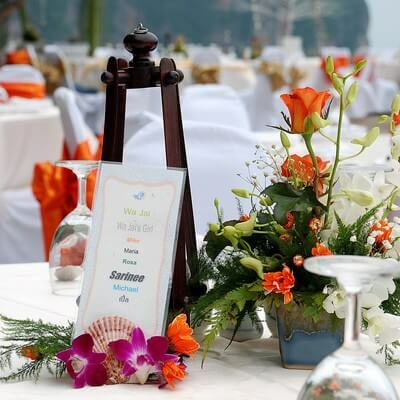 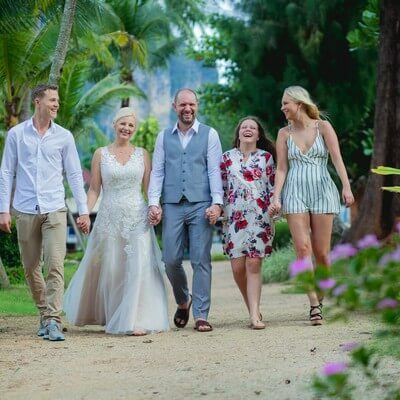 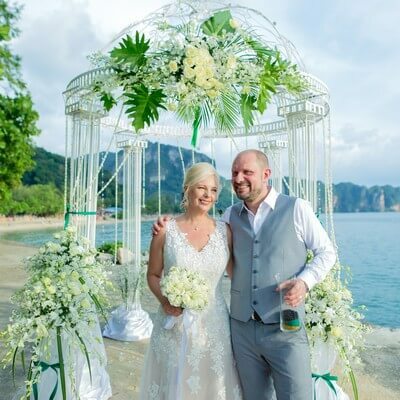 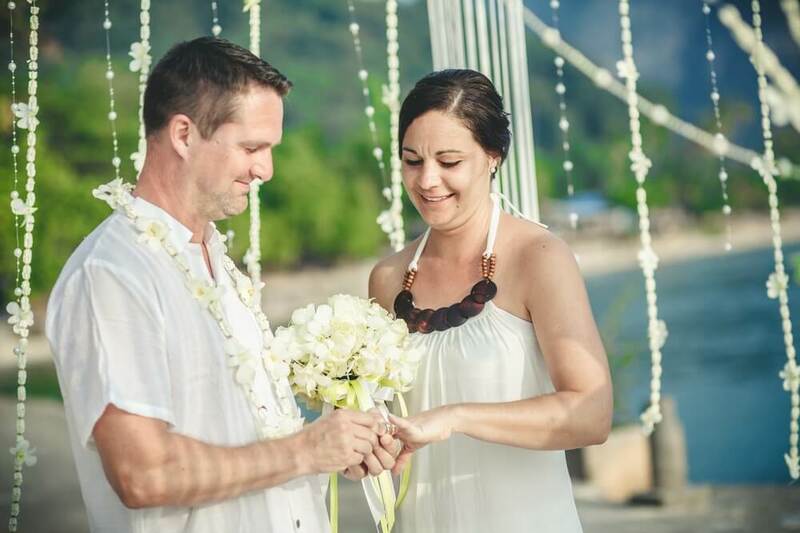 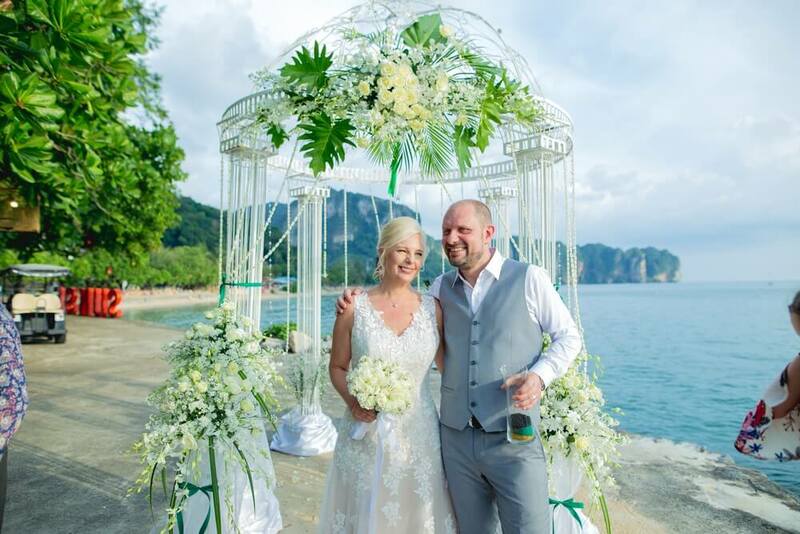 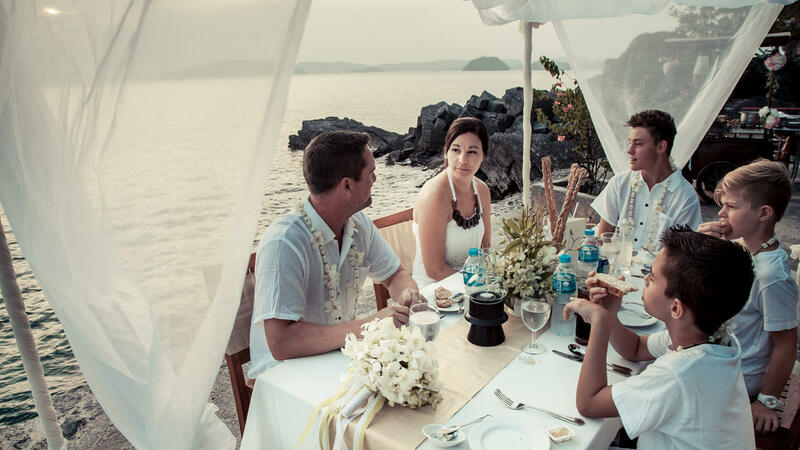 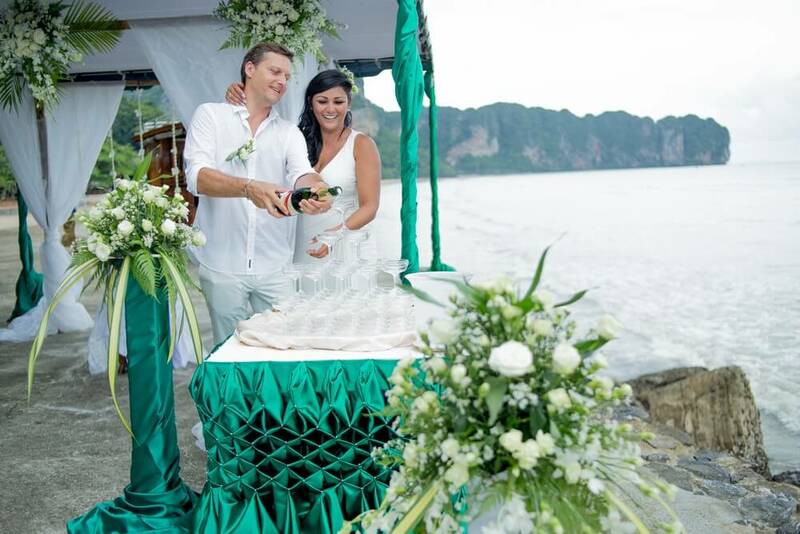 Wedding Service : Krabi Resort Ao nang - A Thai traditional style resort in Ao Nang with a private beach access. 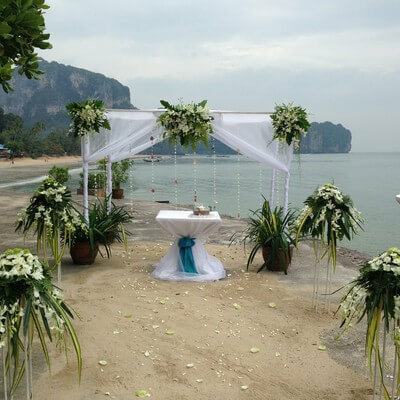 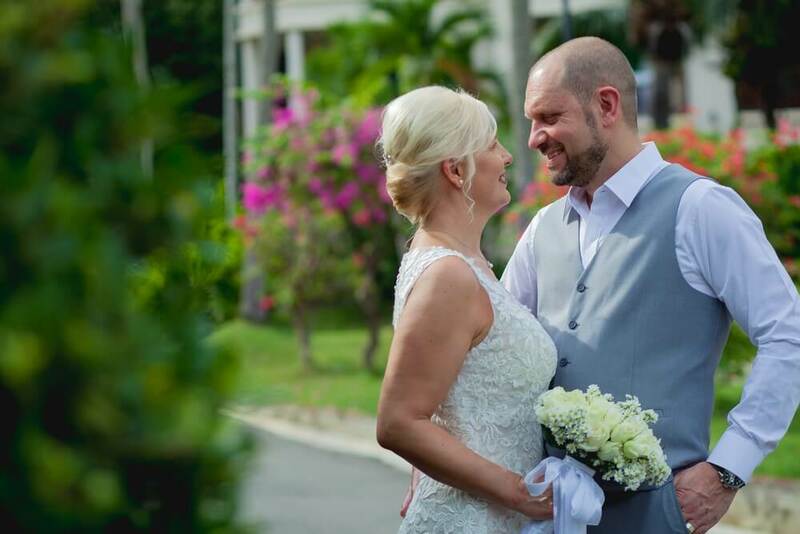 Krabi Resort is a middle luxury hotel that provides a perfect place for couple to say “I do” among their honor guests and family. 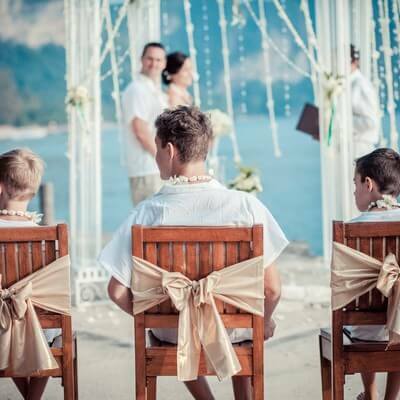 Let your imagination fly, all you want to do is the good helping hand . 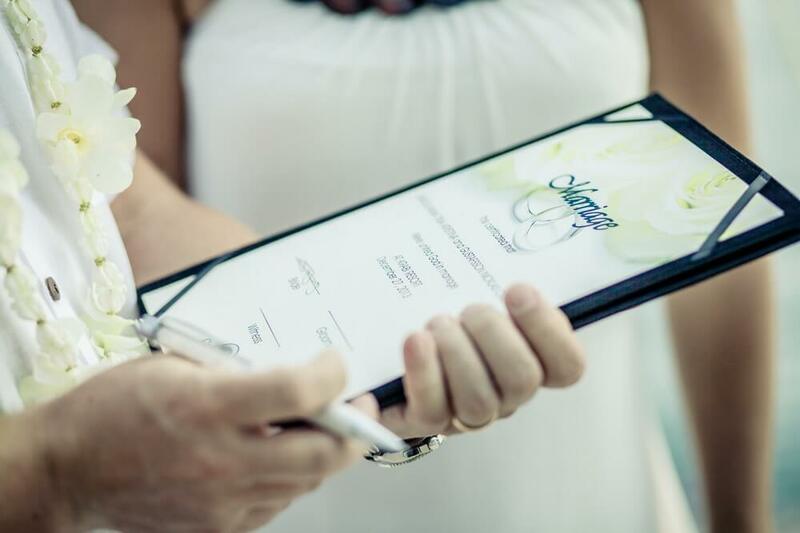 Let our wedding service team tailors your wedding to your specific needs. 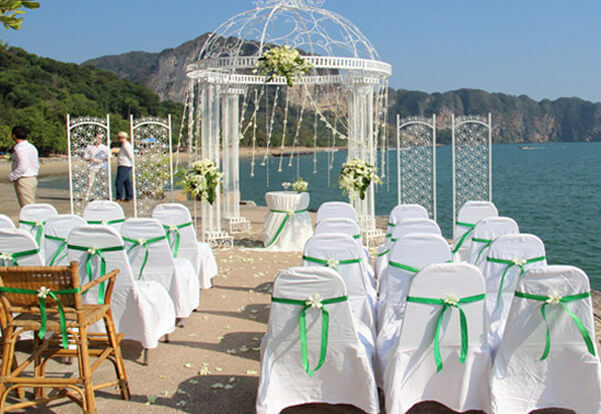 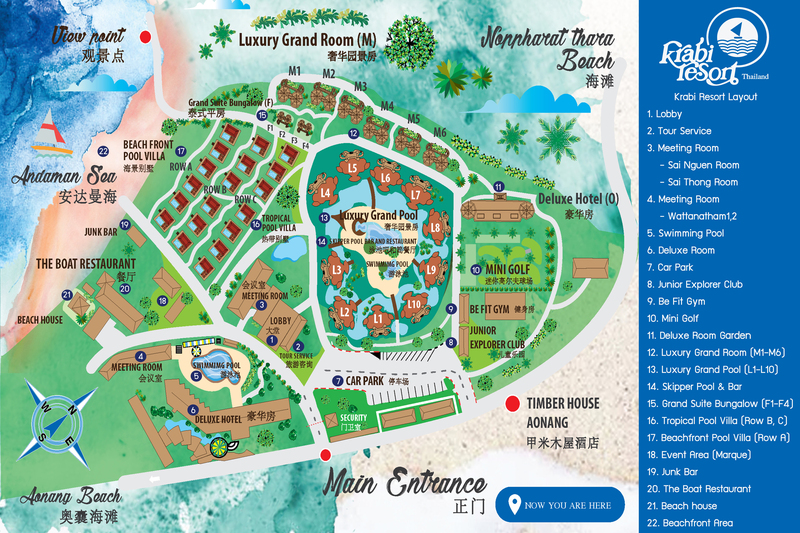 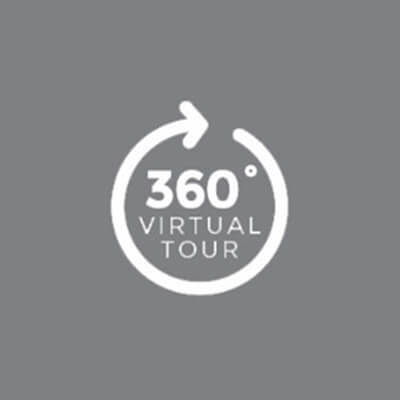 You can select our location either; indoor in our banquet rooms or outdoor by the beach with our picturesque view of Ao-nang bay. 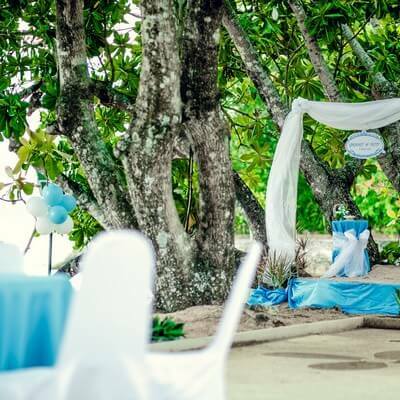 Pastor stand in front of the altar on the beach and involve of the wedding, while couple walk to the altar an exchange their wedding vows and rings. 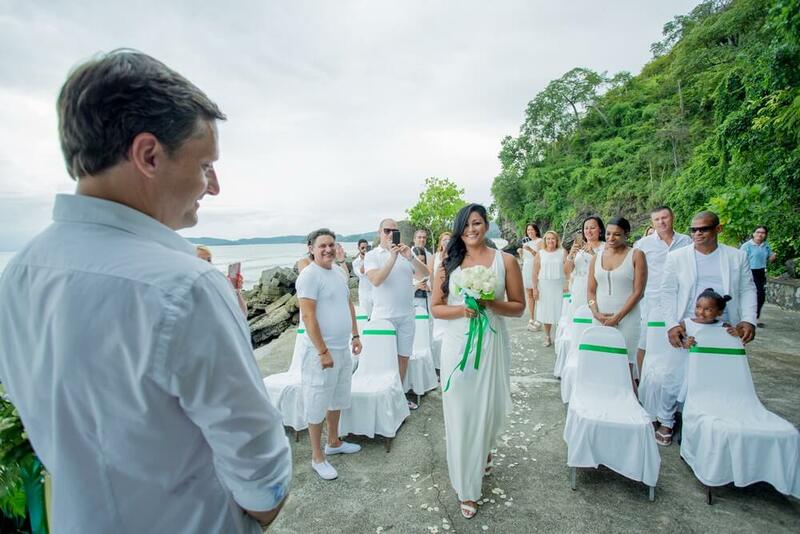 Follow by the celebration to close the ceremony. 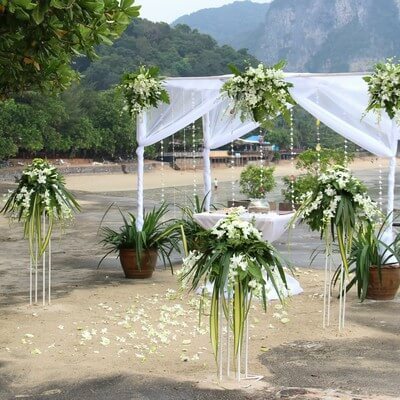 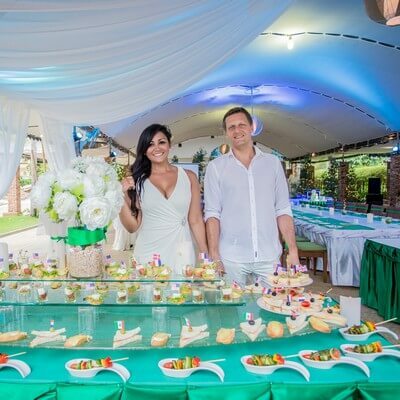 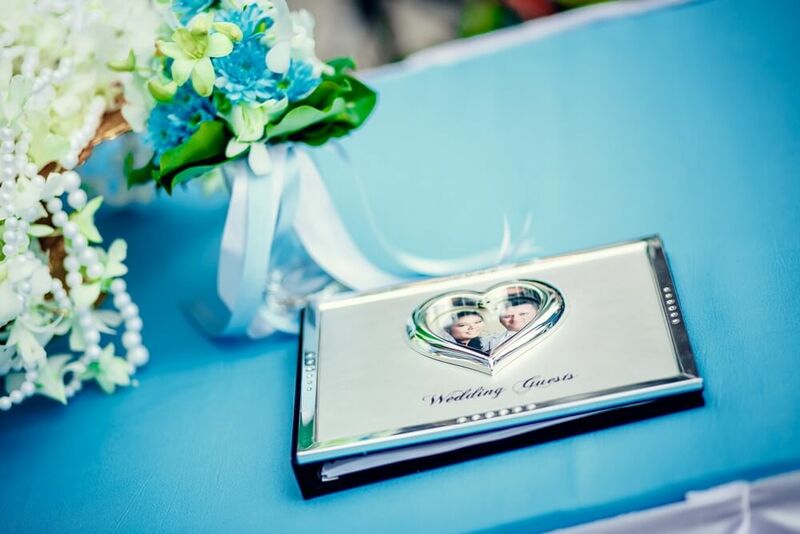 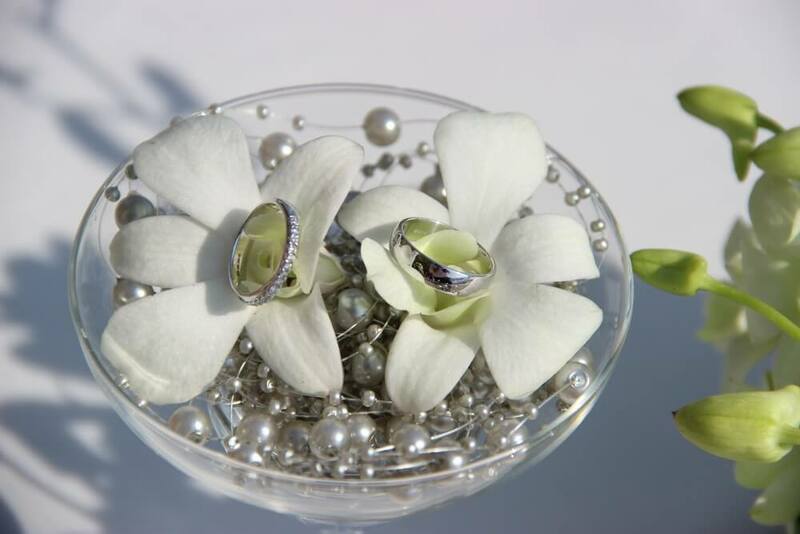 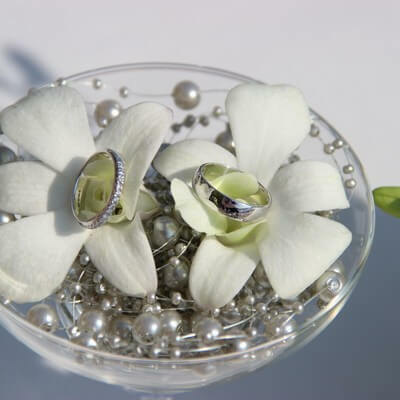 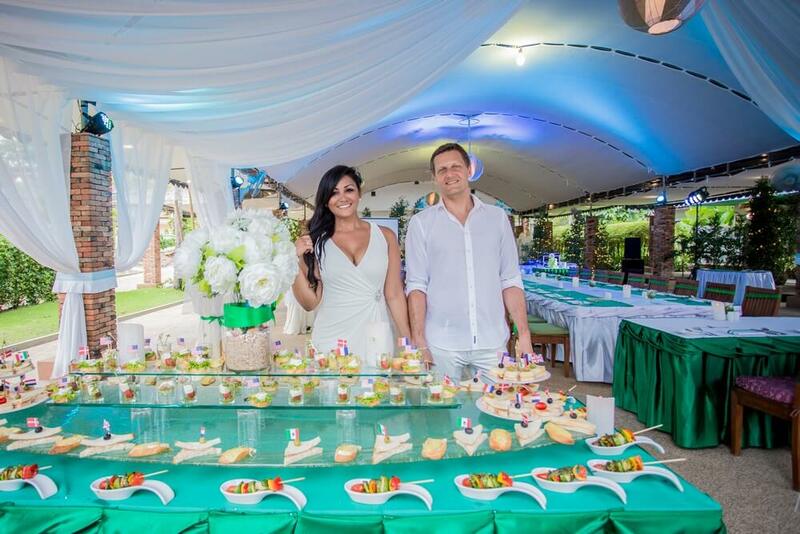 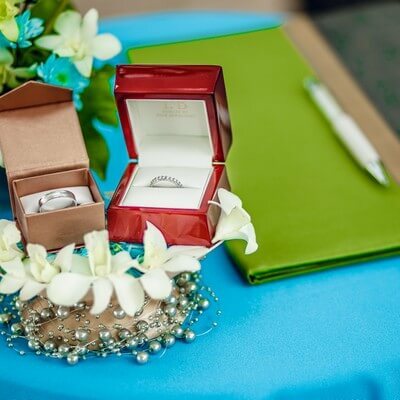 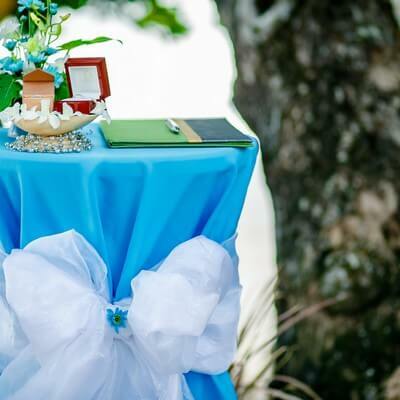 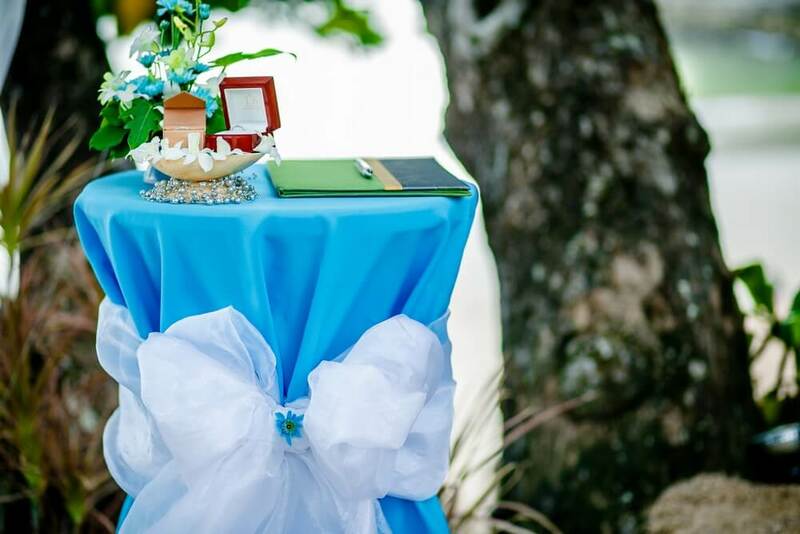 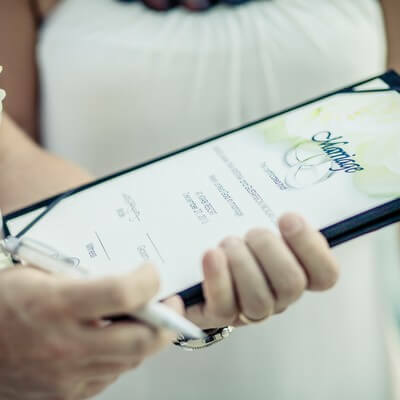 • Agreement of the Christian ceremony and consultation with our wedding coordinator. 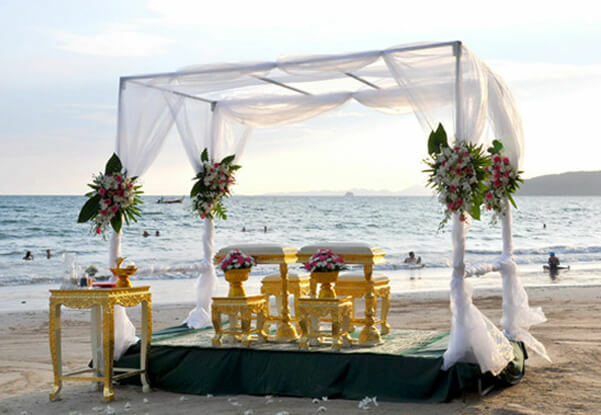 The Thai traditional wedding is organized in several stages, firstly the blessing from the Buddhist monks, then the exchange of alliances and finally the holy water ceremony. 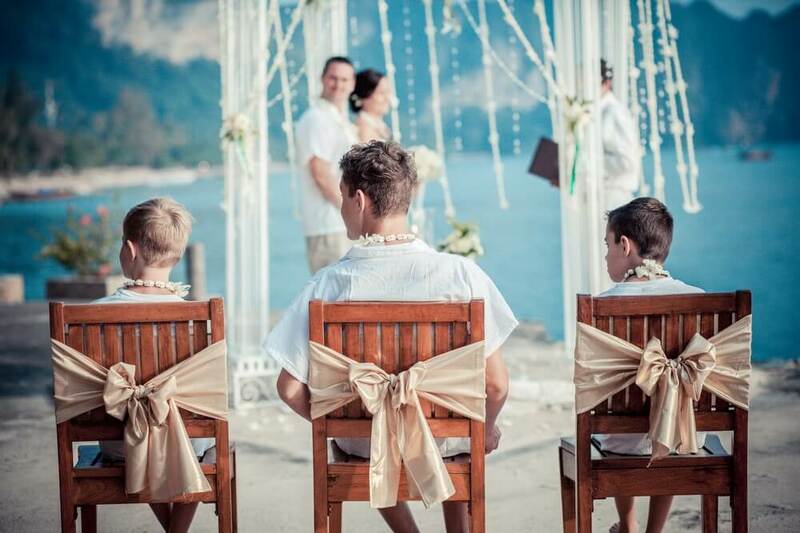 Buddhist monks involved in the religious ceremony. 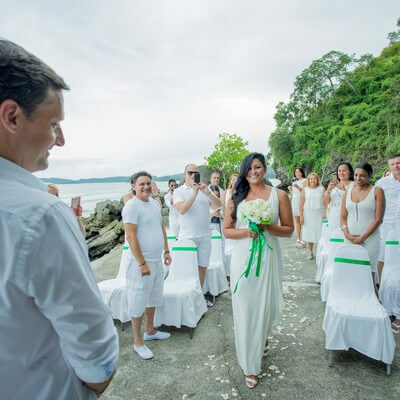 During the celebration, a sacred thread connects the hands of the bride and groom to the hands of the monks. 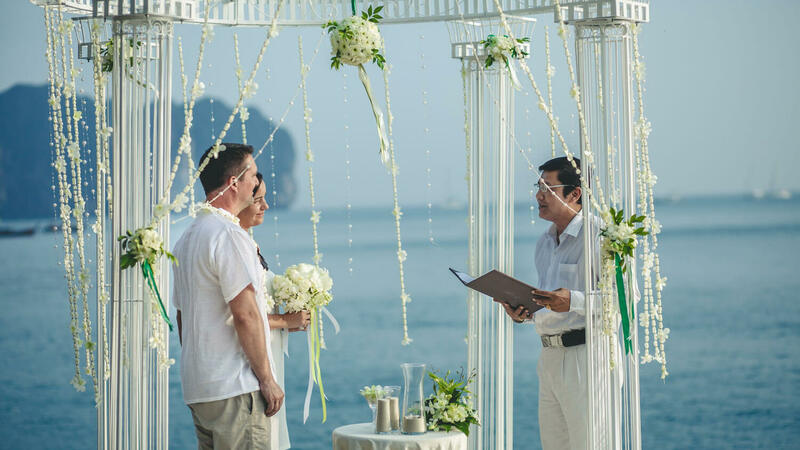 The monks also bless the assembly with their prayers. 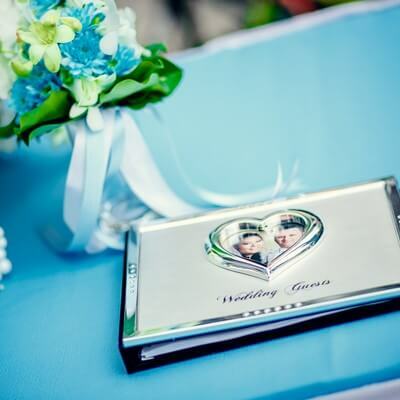 At the end of the ceremony, the newlywed couple offers envelopes containing donation to the monk. 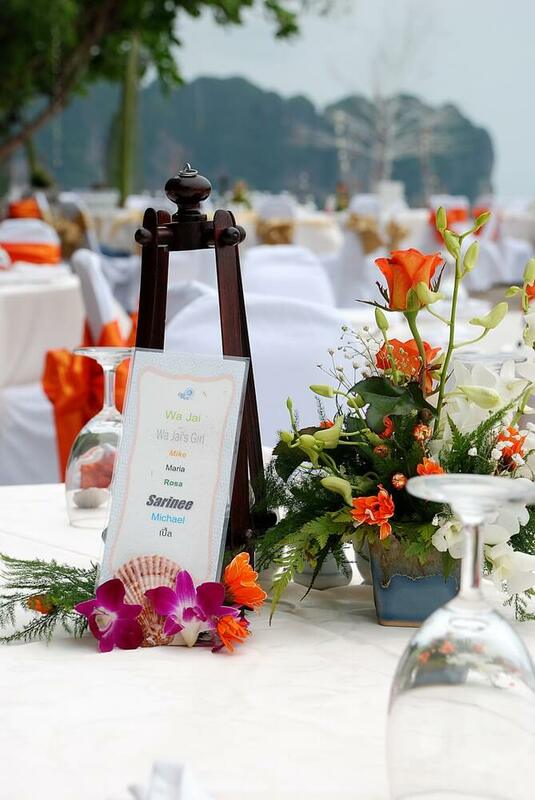 During the blessing ceremony a cup of water is sacred by the Buddhist monks. 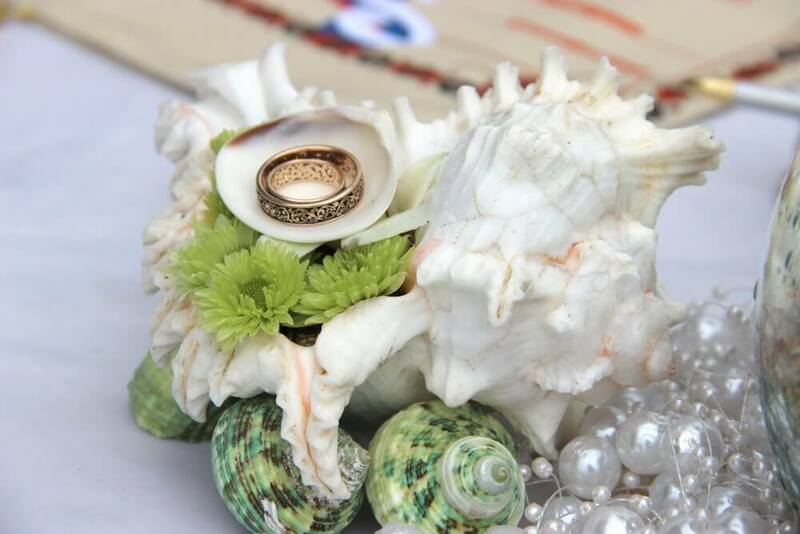 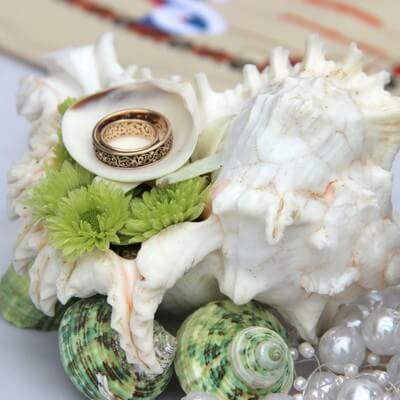 For this second ceremony, the guests pour the holy water contained in the shell on to the newly wedding couple hands to wish them happiness, prosperity and longevity. 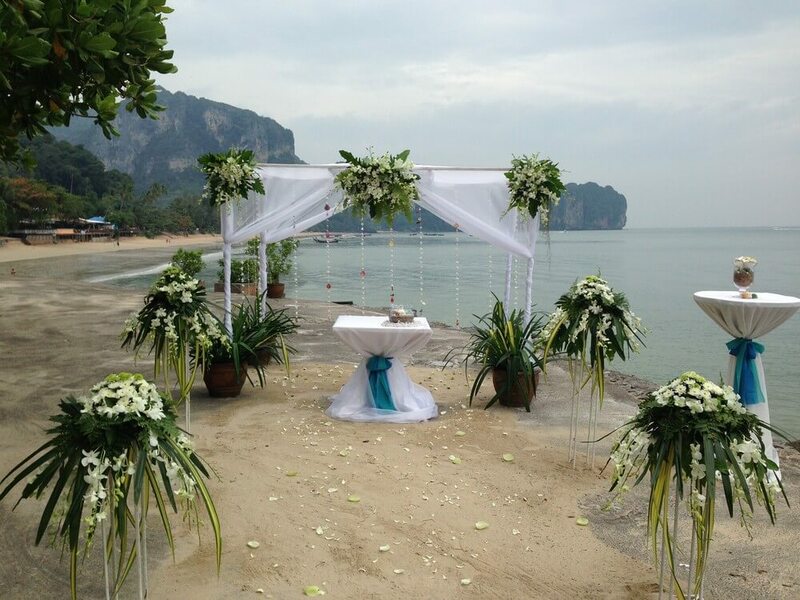 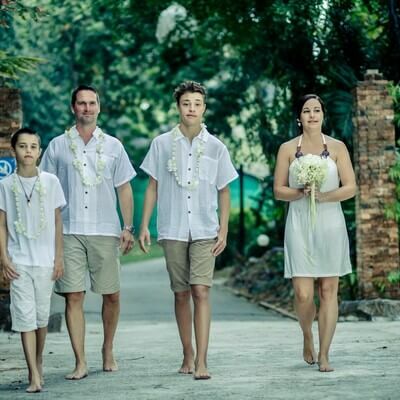 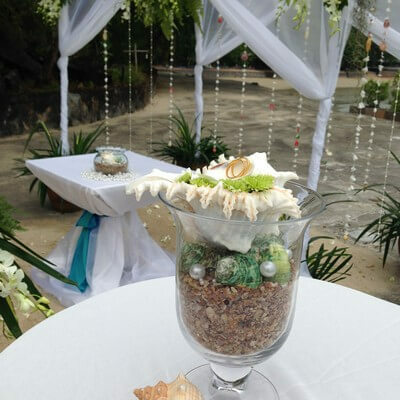 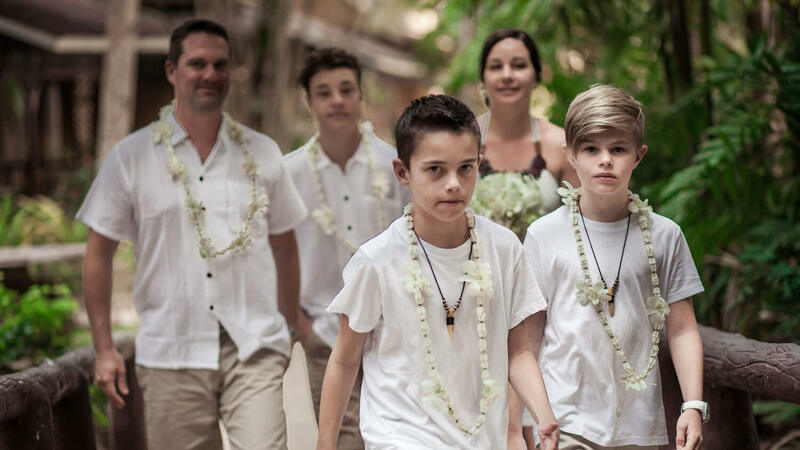 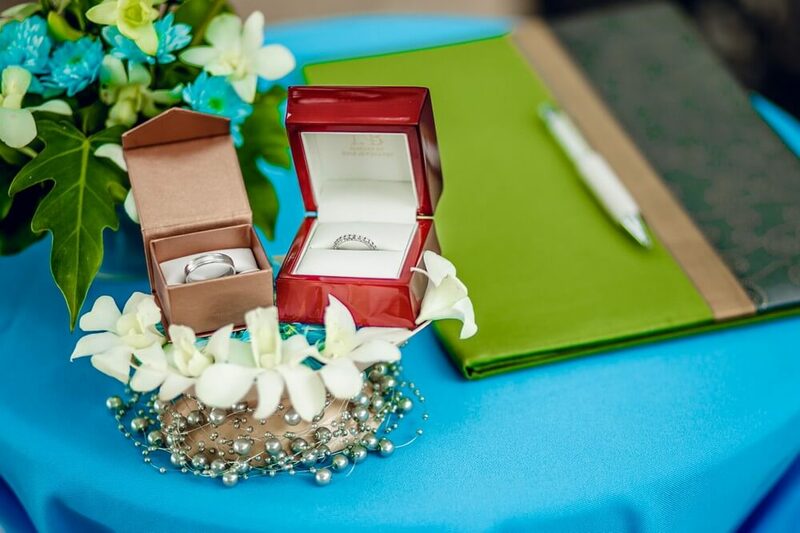 • Agreement of the Thai ceremony and consultation with our wedding coordinator.